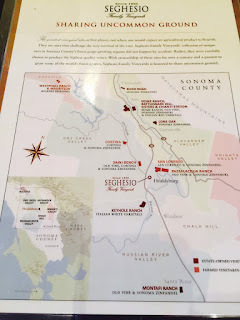 “The more I have learned about wine ... the more I have realized that it weaves in with human history from its very beginning as few, if any, other products do.” No where is this Hugh Johnson quote more true than Sonoma County. A melting pot of cultures from around the world, Sonoma’s wine history is a rich tapestry, woven together from the many immigrants who brought wine with them to the west coast. From Hungry to Italy, Sonoma’s historical wine makers paved the broken road for United States’ wine to arrive where it is today. 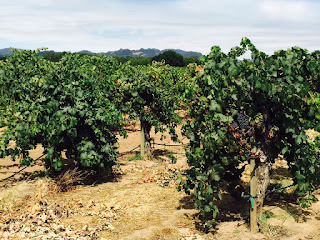 Sonoma’s historically important wineries reflect the unique characteristics of the region then, and still show the qualities that make it such a special place today. 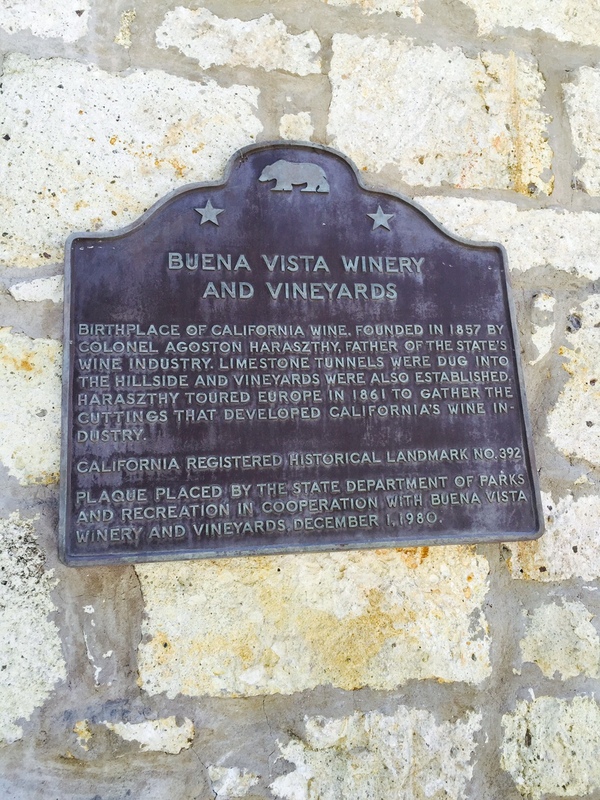 Touted as California’s first winery, Buena Vista—just outside of the town of Sonoma—was founded by Hungarian Agoston Haraszthy in 1857. 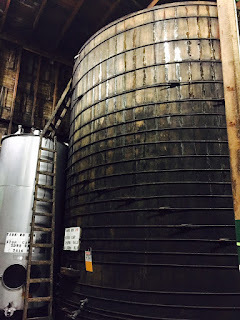 The winery continued to grow grapes and make wine for nearly twenty years. The property was sold, and the new owners were not in the business. 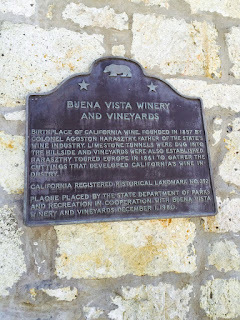 Fast forward through the lean years of prohibition to arrive at 1949, and Buena Vista again became a working winery. 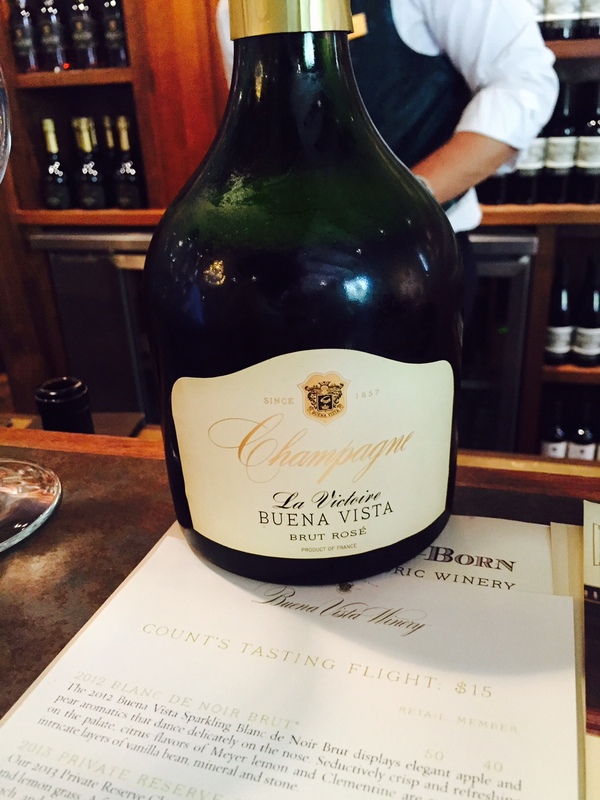 Today, it is owned by Boisset Family Estates, a group that has lovingly restored it to its historic splendor. Buena Vista, historic and important. 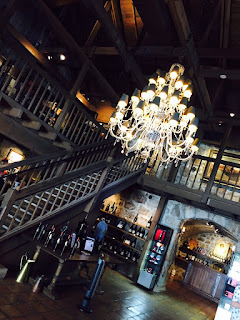 While surrounded by all the history, wine lovers can taste many distinct wines, from sparkling to zins. 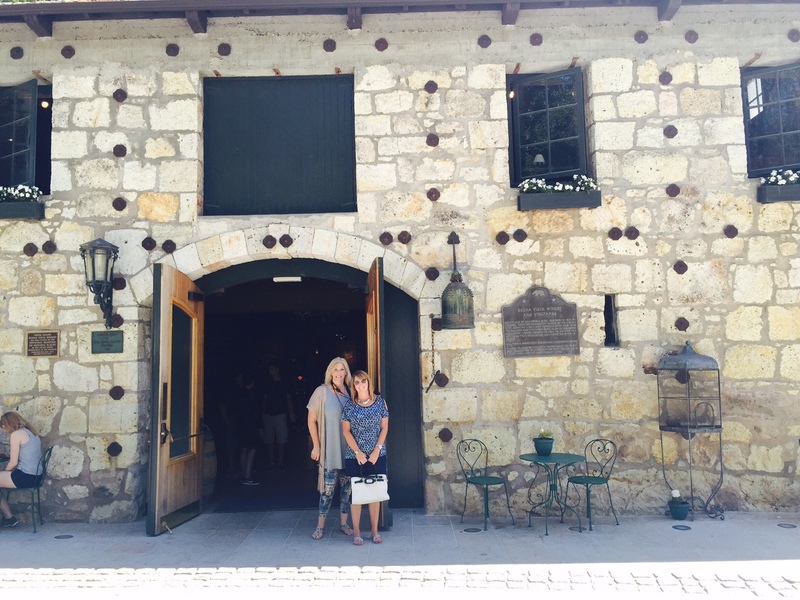 Tastings occur in the original press house, but other tours allow customers to explore the caves and the winery, as well. 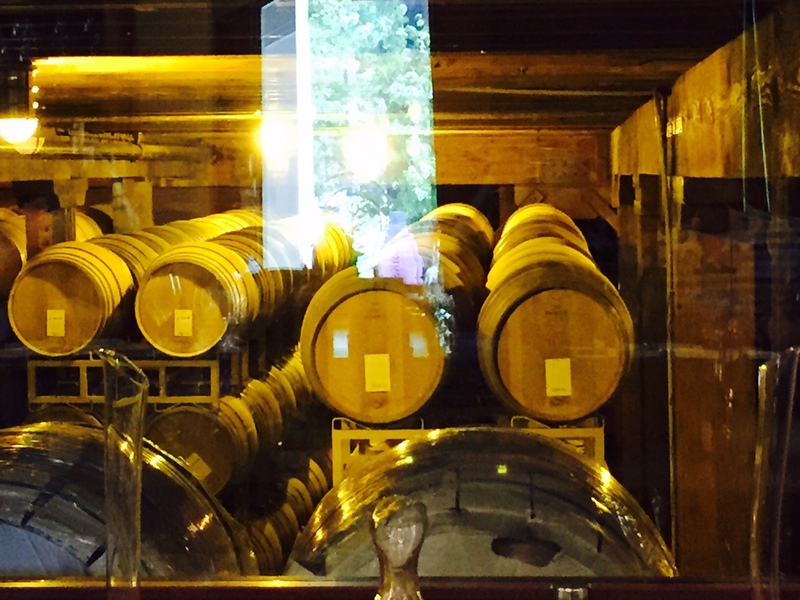 Special events happen all year, including a living history day in the summer for spectators to imagine how a winery in the 1800s would have actually operated. My fellow wine lovers in front of the original press house, now the tasting room. Walking up the drive from the parking lot to the tasting room (or hitching a ride on a golf cart like my friends and I), truly feels like going back in time. The period clothing employees wear adds to the feeling of taking a step back, of reversing time to the first glory days of Sonoma wine. 2012 Blanc de Noir Brut—always one to love a sparkling, this is a great example of why these wines are some of my favorites. Crisp and refreshing with the aromas and flavors of fresh-baked lemon bread, pour this all summer and then again during celebrations the rest of the year. Bring on the Buena Vista bubbles! 2013 Attila’s Selection Zinfandel—Old vine zinfandel fans will enjoy this wine with elements of black fruit and spice on the nose. On the palate, the black fruits comes through with ripened characteristics, then the wine hits you with its pepper, spice, and chocolate. 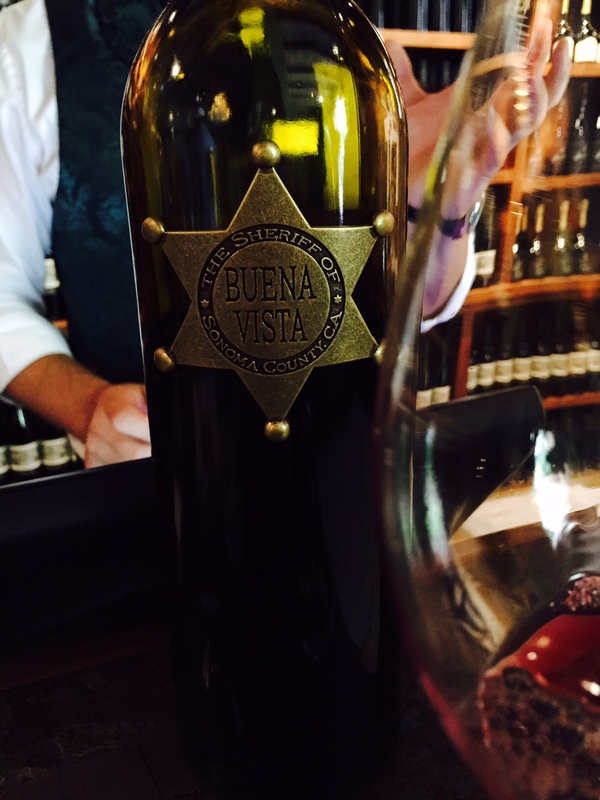 2012 The Sheriff of Buena Vista—Named for Agoston, who was indeed once a sheriff, this is a blend of petite sirah, syrah, petit verdot, cabernet sauvignon, and grenache. Those grapes lead to a well-balanced wine, bold on both the nose and palate. Plus, a cool price and even cooler bottle (a metal sheriff’s badge is the label…love it! ), this is a great purchase. Show that badge on the Buena Vista Sheriff. Italian immigrants were very important in early Sonoma wine development. Many settled in the northern part of Sonoma County, so many that regions of the county even became known as Asti and Chianti Station based on the inhabitants there. These wonderful Italian names still show themselves in Sonoma—names like Seghesio at Seghesio Family Vineyards. An original winery facility from 1882, now Seghesio property. The family vineyards were planted in 1895 and the fourth generation of Seghesios—Ted as wine maker and Dave as head of operations—still operates the winery, though since 2011 it is no longer family owned. Many Italian grape varieties—both red and white—are produced into wine at the facility Seghesio Family bought in 1949 but was built (for another winery) in 1882. Most of the Italian grapes, like vermentino and aglianico, are grown at the original Home Ranch Vineyard that even has some 120-year-old vines. Other grapes are sourced from Seghesio’s Keyhole Ranch or some of the 400-plus acres around Sonoma County. Zinfandel must be mentioned in the same breath as this producer since it produces so many quality options. 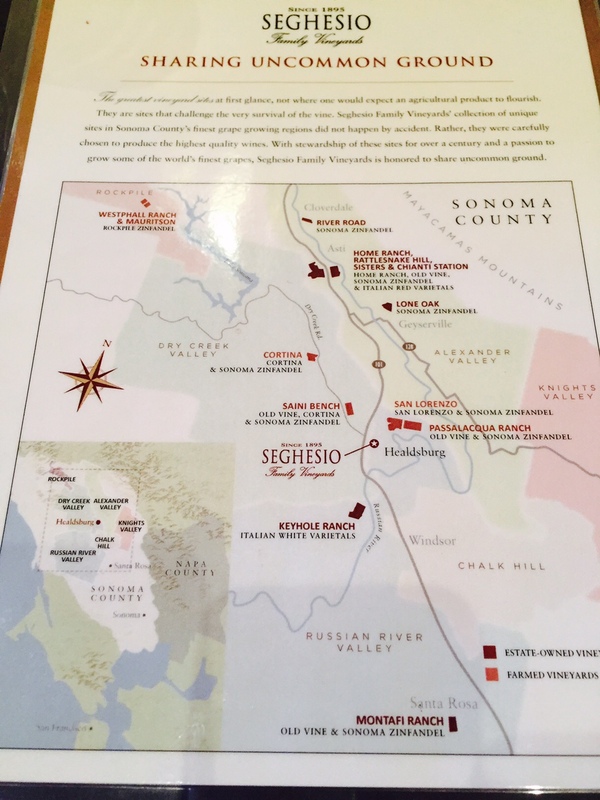 Seghesio sources zin from many different areas like Dry Creek Valley, Alexander Valley, and Rockpile AVAs and then distributes all over the country. 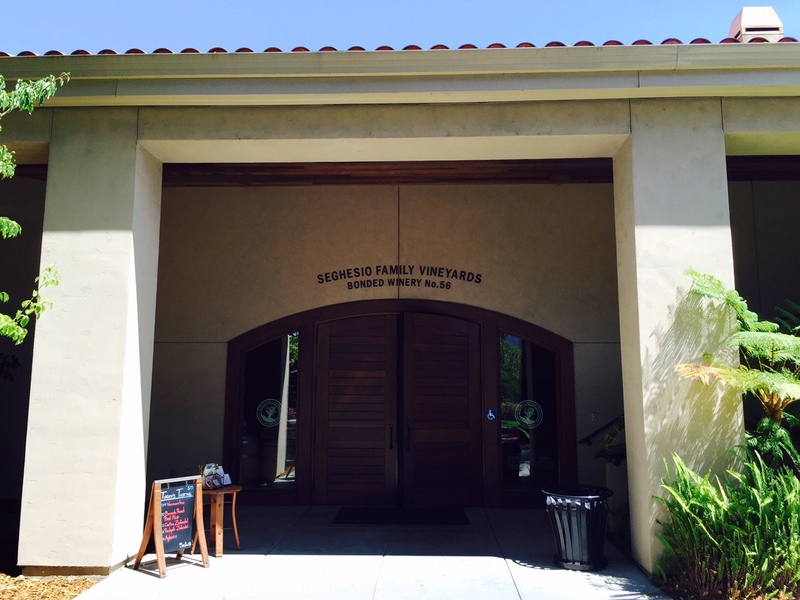 However, some are only found in the tasting room outside of Healdsburg. An entire lineup of Seghesio Zinfandels. 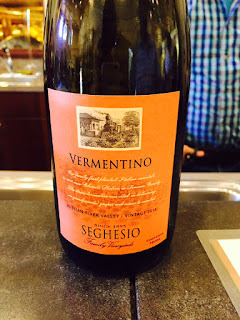 2014 Vermentino—a fairly unique wine to be found in California, this classic Italian grape is grown in the Russian River Valley. Juicy pear lingers on the nose, with the pear coming through on the palate, as well. The wine finishes with a refreshing grass flavor. 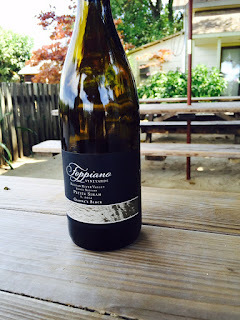 Vermentino and other Italian varietal wines. 2011 Venom—the sangiovese grapes for this wine are sourced from the hillside of Rattlesnake Hill, hence the name Venom. My fellow lovers of red Italian wines will enjoy this take on the grape. Bold with vibrant and silky tannins, the ripe red fruits carry this to a lovely finish. 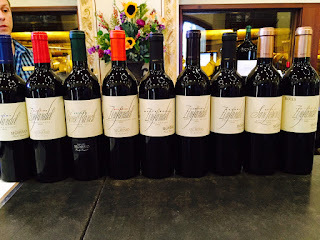 2012 Old Vine Zinfandel—one of the best known and most popular zins from Seghesio, this zinfandel comes from vines planted anywhere from 1890 to 1930, truly old. Just a small percentage of petite sirah gives great fruit components to the wine. Add in the finish that lasts forever, and this is a wine that you will want to drink now; however, this could age for up to ten years. 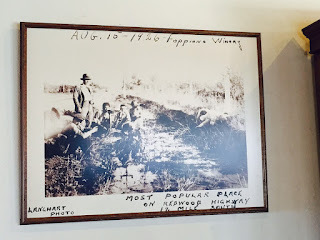 Another Italian family, the Foppianos, began making wine in 1896, when Giovoni started selling his wine the old-fashioned, Italian way—customers bringing in their own jugs to fill. Fast forward to today as the fifth generation of Foppianos, Paul and his family, still own and operate the winery. The winery and surroundings continue to show historic importance. Many of the old orchard trees still dot the property producing figs and avocados. 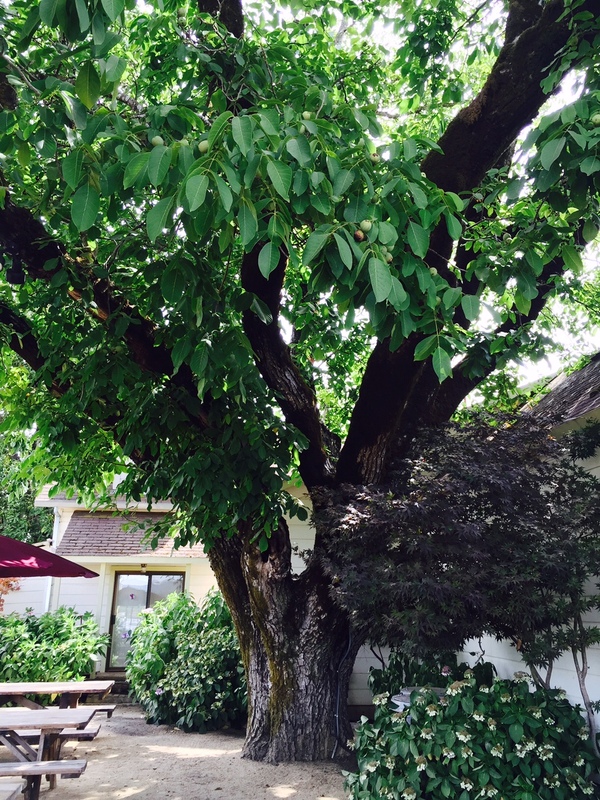 The picnic area shares space with the large, elderly walnut tree. The old walnut tree in Foppiano's picnic area. The winery itself still has one of the original redwood tanks and built-in concrete fermenting wall units. Though neither of these vessels are currently in use, the redwood tanks are a part of the winery…as the ceiling and walls of the tasting room. 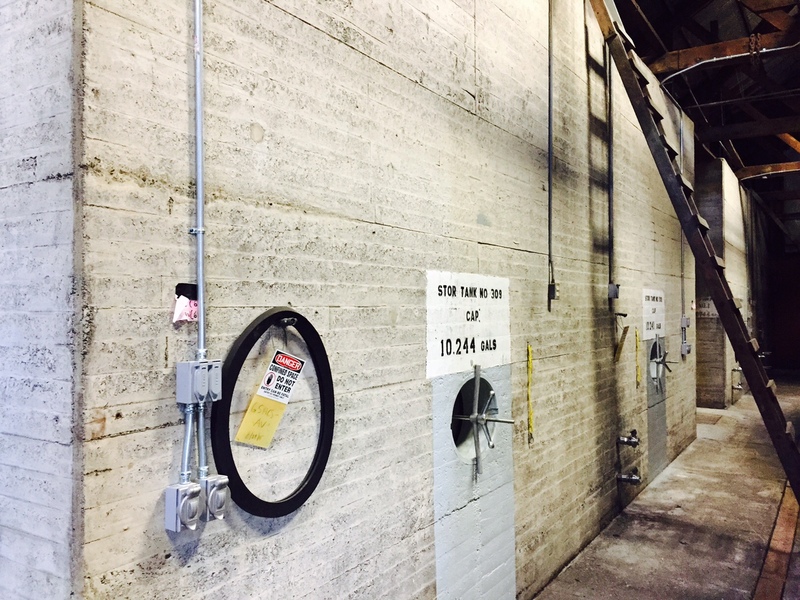 Redwood tanks and the wall of cement fermenters. History is front and center here for one main reason: the Foppianos survived prohibition…barely. In 1926, wine was still being produced by the family. A tip gave the heads up that a federal agent was on his way to Foppiano Vineyards. With the advanced notice, over 100,000 gallons of wine was dumped alongside the road. Neighbors came from all around so that not all of this product would be “wasted”; the family’s historic pictures document that some was put to good use…wink. Family photo of the prohibition wine dump. 2013 Della’s Block Chardonnay—from the block of chardonnay vines named for Louis J.’s wife and Joe’s daughter, this is a rich chardonnay (one hundred percent of the wine went through malolactic fermentation) with the essence of sweetness from the tropical fruit on the palate and nose. A fair hint of butter continues to show through the fruit. 2012 Estate Pinot Noir—Russian River Valley pinot noir lovers (like me) will rejoice with this perfect example of the region’s wine. The cooler area lets the blackberry and eucalyptus come through on the palate and the nose. Earth and spice are also strong with a fabulous floral finish. This is a delicate yet complex pinot...just how I like it. 2012 Estate Petite Sirah—beautiful petite sirah vines surround the picnic area behind the tasting room. These gorgeous grapes offer another great California petite sirah: inky, purple color followed by ripe berries, chocolate, and earth. Smooth and silky tannins show from the first sip until the finish dissipates. Gorgeous petite sirah vines and grapes...then wine. 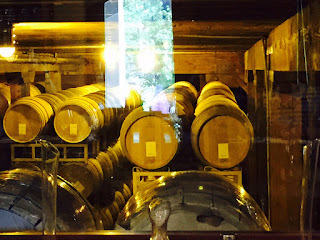 There is a very tight web woven between the early European wine makers who settled the Sonoma area and modern day wine there. Sonoma’s diversity today owes much to the melting pot of these cultures that brought their close relationships with wine to northern California. 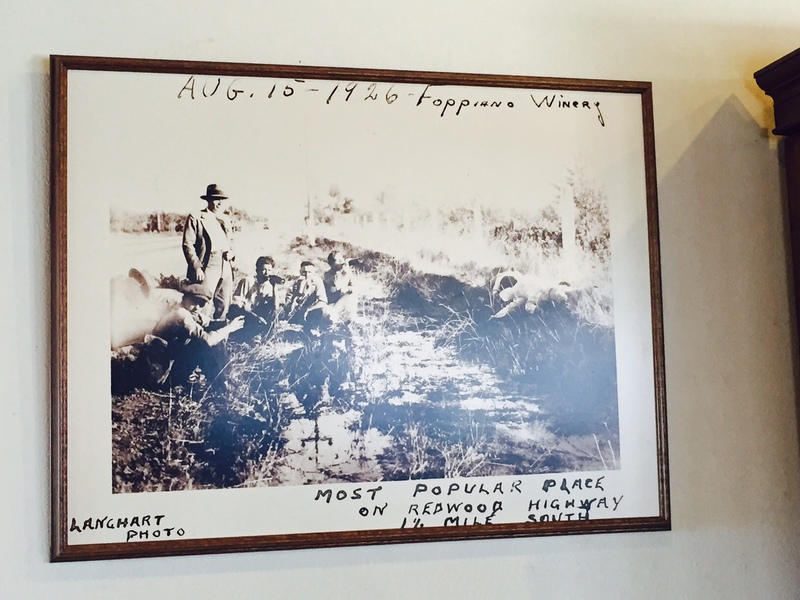 Though Sonoma’s road to modern-day winemaking was not an easy one, these historically important wineries show Sonoma’s exceptional quality…yesterday, today, and tomorrow.